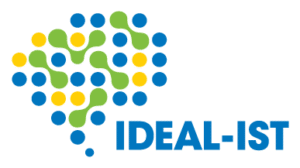 The main objective of Idealist2018 is reinforcing the network of National Contact Points (NCP) for LEIT ICT under Horizon2020, by promoting further trans-national cooperation within this network. This cooperation will also include collaboration and networking with similar networks in parallel themes (Security, ENV, Transport, Energy, Health, … etc.) especially in the context of joint/coordinated or PPP calls. Special focus is put on helping less experienced NCPs from Member States (MS) and Associated Countries (AC) to access the know-how accumulated in other countries and to apply it in a locally relevant and efficient manner. Furthermore, Idealist2018 aims to address national and cross-border audiences, relying on the NCP network mainly established in the MS and AC at national and regional level, to stimulate, encourage and facilitate the participation of current and future ICT research stakeholders in ERA. Special focus is put on newcomers and SMEs, including organisations from MS, AC and third Countries. 20. Moldova DAS SOLUTIONS S.R.L.